By Chris Williams on March 23, 2013. What is the real reason for the resurgence of the bedbug as a major public health nuisance in recent years? 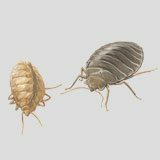 The truth is that there is very likely not a single reason, but probably many factors contributing to the ascendance of the bedbug to its’ current status. Prior to WWII, bedbugs were very common pests in the United States. This began to change after the development and widespread use of modern pesticides (DDT, malathion, etc. ), and they became virtually non-existent for decades in the U.S. (R.A. Cooper). Indeed, many industry professionals, (myself included) had never even seen a bedbug infestation prior to the late nineties. I can’t stress enough that the following is a list of ‘educated guesses’ as to why they are back in such a profound way. Worldwide increase in bed bug activity possibly leading to increased encounters with the traveling public and subsequent introductions to the US. Changes in pest management practices (less reliance on the broad spectrum applications of the past) favoring more targeted approach (such as baits) for pests such as ants and cockroaches combined with increased insecticide resistance. (R.A. Cooper) I suspect too, that water-based insecticide formulations offer little in the way of residual activity to stop bedbugs due to their waxy cuticle, and we are now seeing older style emulsifiable (solvent based) concentrate formulations return to help in the battle. Lastly, a general lack of knowledge by the public (or ambivalence) to their very existence, let alone their behavior (extremely secretive) and habits (they are the perfect hitch hiker) has lead to a very rapid spread throughout the country.